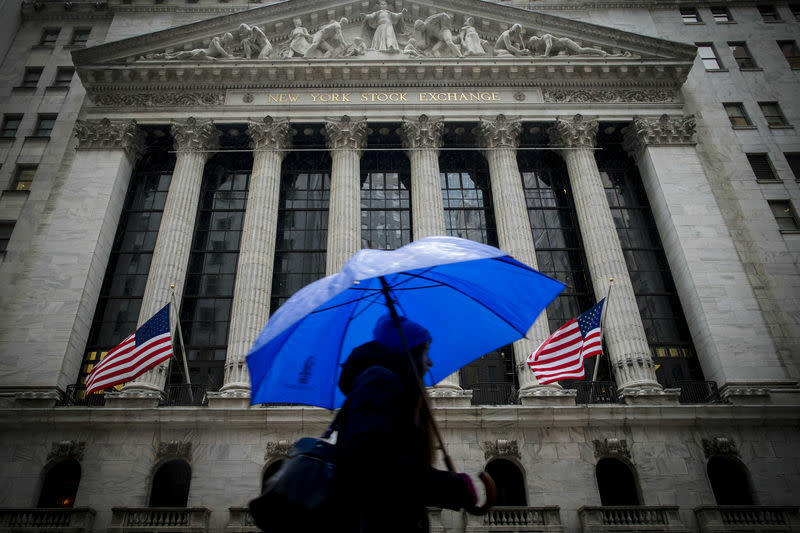 NEW YORK (Reuters) - The U.S. stock market has been quiet this week - too quiet. Wall Street has traded in a tight range of late, with both volatility and trading volumes drying up as the earnings season winds down and Federal Reserve Chair Janet Yellen's recent Congressional testimony delivered no surprises. While markets have held near record levels, there are signs equities have gotten stretched and could be vulnerable next week, when a number of key economic indicators come out. If any of those, including the February payroll report, extends a recent trend of disappointing data, that could shock indexes out of their ranges and send them lower. About 238,000 jobs are expected to have been added in February, according to the non-farm payroll report that will be released on Friday, down from the 257,000 added in January. Separately, readings on both the manufacturing and services sectors are on tap, as is a report on factory orders. "Economic data will be the biggest driver of market moves over the next month, and the key one is the jobs report," said Jim McDonald, chief investment strategist at Chicago-based Northern Trust Asset Management. "Right now, there continues to be a reasonable amount of skepticism regarding the market outlook." Recent data has pointed to weakening conditions. Growth slowed more sharply than initially thought in the fourth quarter, while the Institute for Supply Management-Chicago Business Barometer's fell to its lowest since July 2009. The S&P 500 has not seen a 10-percent correction since mid-2012. Valuation remains a concern. The S&P 500 (.SPX) has a price-to-earnings of 17.4, above its historical average of 14.8. On a forward P/E basis, most of the S&P's sectors also look expensive, with financials the only sector with a P/E below the benchmark's historical average. "I'd have to go outside the stock market to find areas of value," said McDonald, who oversees $932 billion. "There just aren't individual pockets of the market that you would describe as cheap." Over the past five sessions, an average of about 6.26 billion shares traded on all U.S. platforms, according to BATS exchange data, nearly 8 percent below the month-to-date average of 6.8 billion. The S&P moved in its narrowest range since Christmas Eve on Friday; it is also closing out its narrowest weekly range since Thanksgiving this week. Despite the thin trading, the Dow (.DJI), S&P and Russell 2000 (.RUT) all hit record levels this week. The CBOE Volatility index (.VIX), a measure of investor anxiety, on Friday fell 2 percent to 13.61, well under its historical average of 20. The volatility index for the Russell (.RVX) is also well below its historical average, falling 1.2 percent to 16.06 on Friday. "The billion-dollar question is, has everyone gotten so complacent that we could see things roll over?" said Michael Matousek, head trader at U.S. Global Investors in San Antonio. "If nothing changes, investors may just keep following things higher, but the high in the Russell and the low in Russell volatility suggest things could really take a hit if anything bad happens." Some of the market's biggest recent gainers could be the most vulnerable to a pullback. The Nasdaq biotech index (.NBI) has rallied for three straight weeks, up nearly 7 percent over that period. Small-caps could also be ripe for profit-taking, with the S&P 600 small-cap index (.SPCY) up for four straight weeks, gaining 6.4 percent over that period. Nick Sargen, chief economist at Fort Washington Investment Advisors in Cincinnati, said these sectors were "difficult calls since they've had phenomenal advancements," though alternatives were hard to come by given the headwind large-cap stocks face from a stronger U.S. dollar. "The market is no longer cheap," he said. "I'm not worried about a selloff of 20 percent, but I keep waiting for a clear signal that the economy is really accelerating. Until I get that, I have to temper my enthusiasm." Did Hedge Funds Drop The Ball On Guidewire Software Inc (GWRE) ?